fishing gear for newbie....help please. I would like to get my boyfriend some fishing gear for christmas. It would be mainly for surf fishing at the jetties. We are both newbies and would like to try our luck with this new hobby. 1. 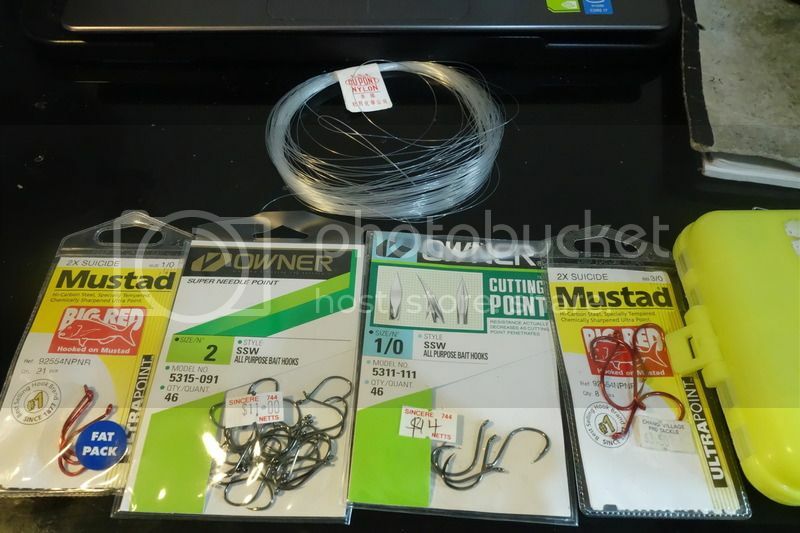 Any tackle shops around,which wont take advantage of my lack of knowledge trying to overcharge me? 2. Which rod, reel, tackle etc would you recommend for newbies( easy to handle,quality should be reasonable. Dont wanna buy stuff which breaks easy)i thought about a budget of 300$ but i am willing to go above it if it is reasonable. I am very thankfull for any help i could get. Re: fishing gear for newbie....help please. Hi veryk, welcome to HLF. $300 will get you a very decent entry to mid level surf tackle(not including the line). Shimano, Daiwa, Penn and Abu are safe brands to stick if you're not sure, especially when it comes to entry level gear. You should know that there are two types of tackles; overhead and spinning setup. Gear from both setup should not be interchangeably used, so make sure you get a spinning rod for a spinning reel and overhead rod with an overhead reel. The shop assistant can help you with this. A spinning setup is easier to learn to cast and operate with, so I would advise going for that. I'd recommend buying Daiwa WindCast 4500 or 4000qd(Reel) to match with Penn Powergraph 12ft(Rod). It's important that he is there to try out the rod to make sure that he is comfortable with the rod weight and length. Tackle has to match the angler's physique for optimum casting distance. Team seahawk rods are also worth a mention and should be slightly cheaper too(I might be wrong). I believe this setup can be found at Joe's tackle. 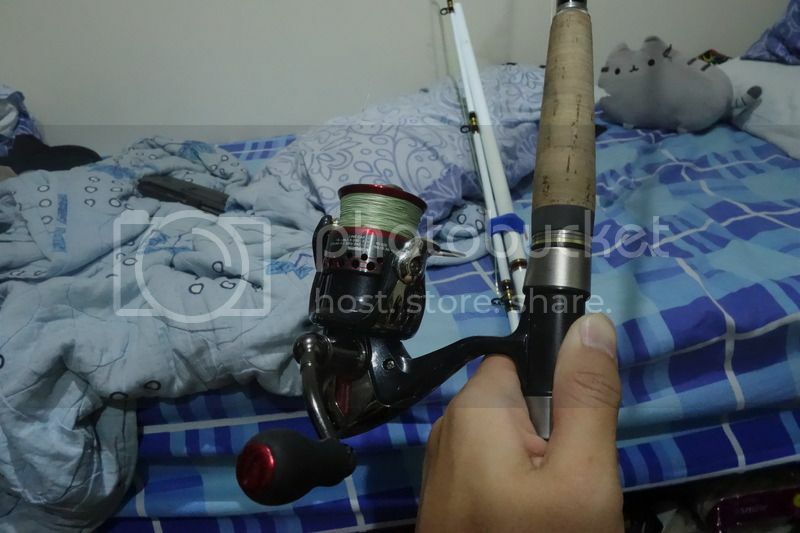 If you want Shimano surf tackles, you can try Tan Thong Cheong. Other tackle shop with good variety of surf tackles include Top Gear, Changi Pro and Riverland. Most shops will give you a discount but only if you ask for it. Hi veryk and welcome to HLF! With your budget of 300SGD you can get a decent entry level setup. 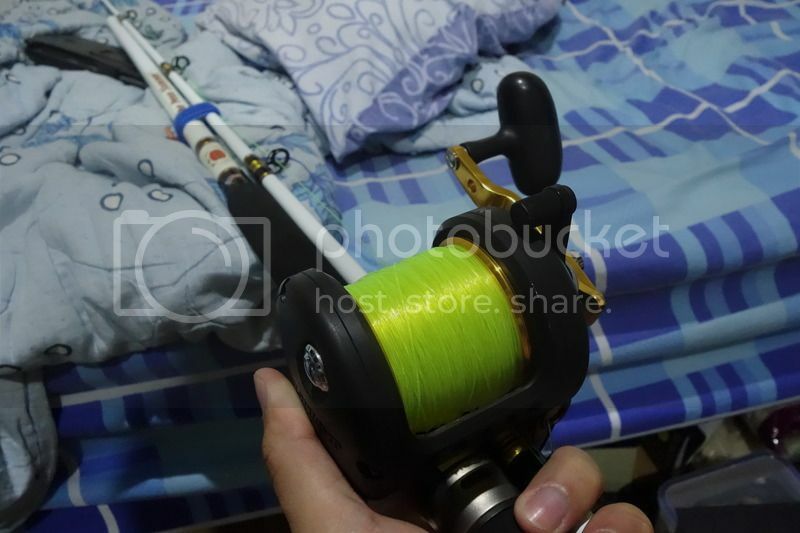 Taking into consideration that you and your boyfriend are newbies, a spinning setup is highly recommended as it is easy to operate unlike an overhead setup where you require an educated thumb to control the spool to prevent line backlash. 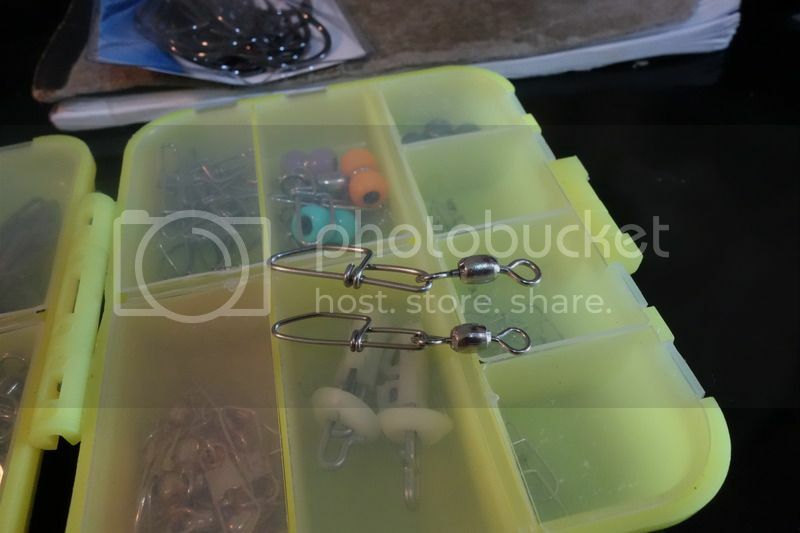 As for which specific rod and reel to get, i would suggest heading down to the various tackleshops like what Peace has mentioned in his post as i am not too sure on what to get as i'm still a greenhorn in this particular aspect of fishing. If you happen to head down to changi village to take a look at the shops, you might want to include Gary's Tackle which is on the far left side of changi pro tackle, the owner of Gary's Tackle is highly knowledgable on surf fishing and you can clarify your doubts on fishing with him. Thank you so much for you help and recommendations. Gonna hit the shops today....first i'll have a look at joe's tackle. What other specific basics would you guys recommend? Do remember to look around and compare the prices before biting the bullet! Have a read at this article too! The knot that i recommend tying to the eye of the barrel swivel is a trilene knot! Just keep it simple by having one rod for your sabiki rig and the surf rod for bigger fishes! Catching tambans can be very very addictive too! That's how i first started fishing by catching tambans, and after some time i decided that tambans no longer give me the thrill and i tried targeting larger fishes, it's either you go big or you become a zerofighter! Fishing interest: I fish exclusively with a yoyito hand line reel. Whether from a kayak, bank, pier or a boat I'm on the water at least three times week. I'm new to this forum but am always very happy to see people come into the sport. When I was a newbie (that was many decades ago) I was introduced to fishing with what we call a Cuban Fishing Yoyo. This is a very inexpensive plastic handline reel. I don't know where you are or the availability of yoyo's where you live, but in the states they can be had for less than $10 USD. Over the years I have and still own many fishing rods and reels, some of them very nice ones, but I now fish exclusively with hand line reels. In fact I like them so much that I created a company to manufacture them. We produce a product called the yoyito, which is basically a pocket size reel and comes equipped with line, weights, hooks and swivels. This is basically all you need to fish and I sell them for $30 USD . In my opinion, fishing is not about equipment but about time, practice and patience. Good luck with your holiday shopping search, I'm sure that he'll love whatever you get him. Simple hand line reels for real fishing.